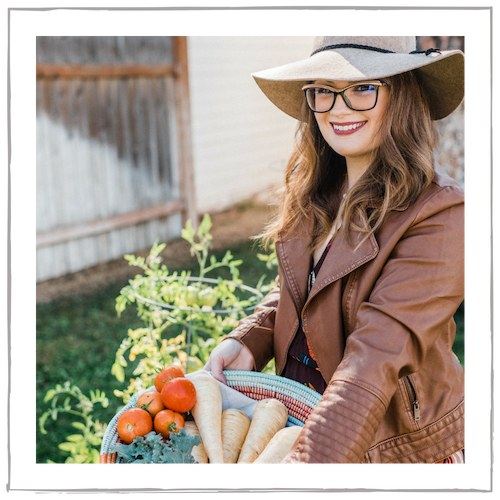 Have you ever made your own pasta before? It’s really not as hard or intimidating as you may think. To make homemade ravioli, you only need a few ingredients you likely already have on hand, like flour, eggs, salt, and olive oil. 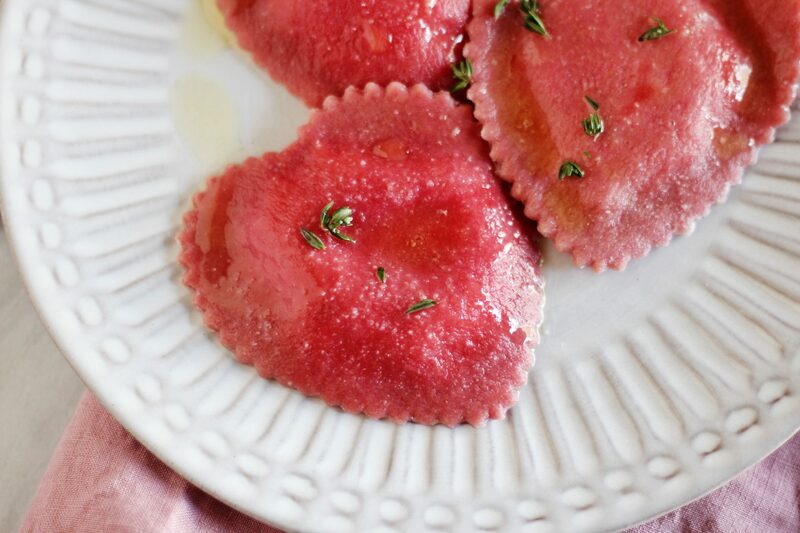 These beet ravioli are a lovely, deep pink. And the best part? They’re naturally colored. 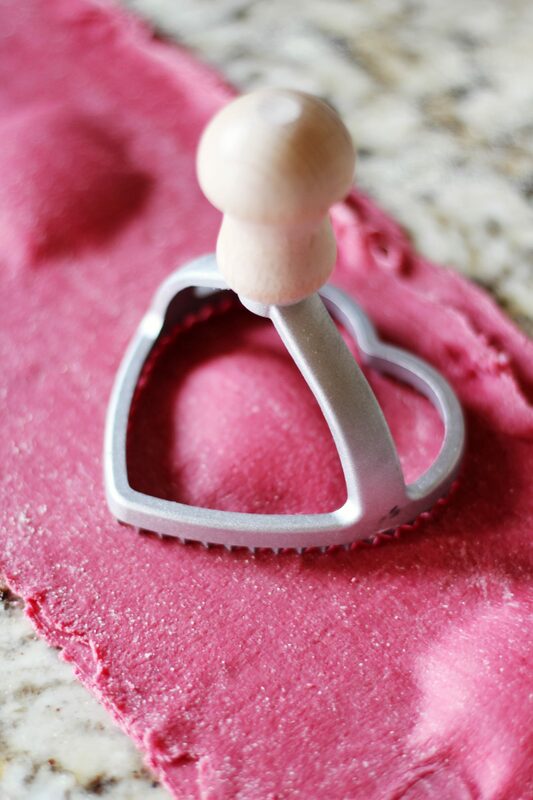 Cut out in heart shapes, this pasta would be perfect for Valentine’s Day, date night, or a special occasion. What Do You Need to Make Homemade Ravioli? A pasta rolling machine. You don’t need anything fancy here, though. I like this hand-cranked one or the KitchenAid attachment. A ravioli cutter or ravioli molds. For these, we used a heart-shaped cutter. Flour, eggs, and olive oil. 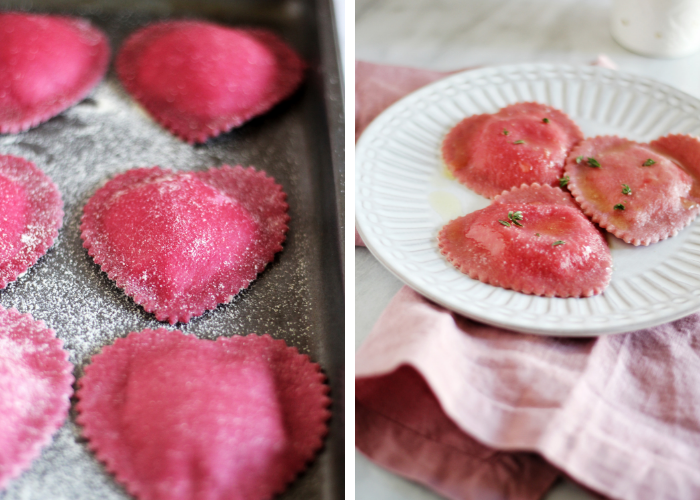 For these beet ravioli, we also use beet puree to naturally color them pink. 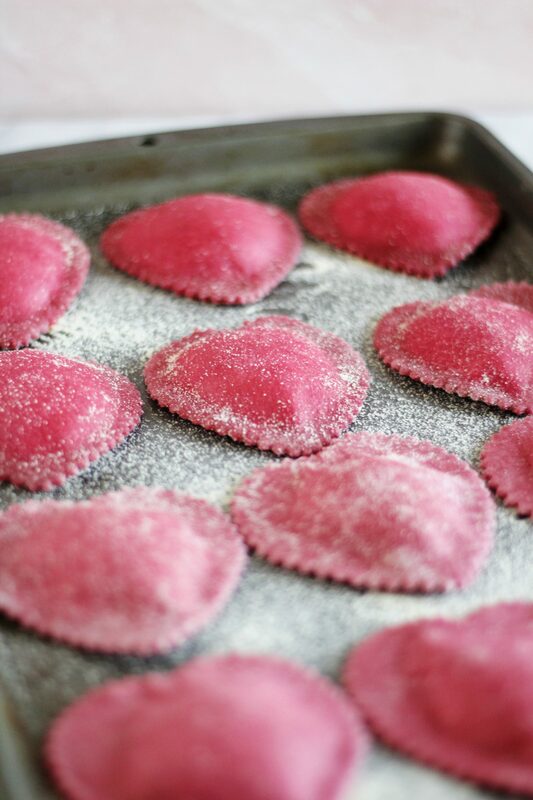 I like to also use a bit of semolina flour in this dough because it makes the ravioli a bit heartier. 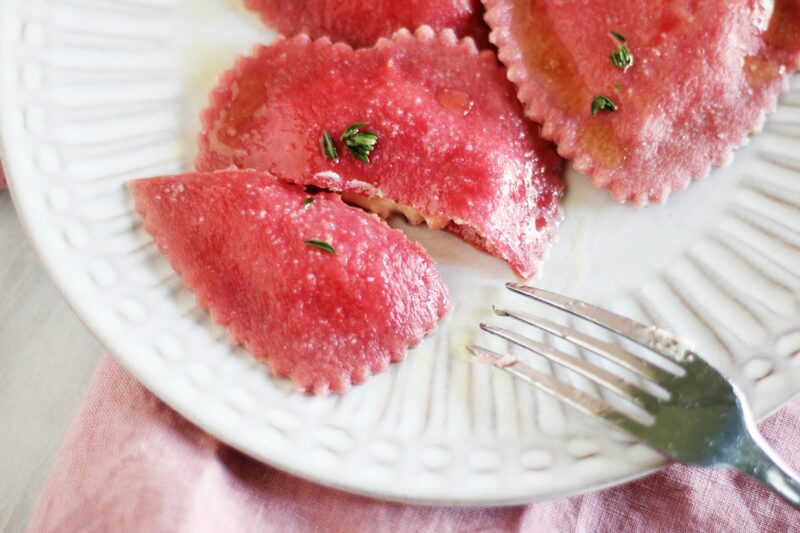 The filling for these beet ravioli is made from ricotta, goat cheese, Parmesan, rosemary, and thyme. 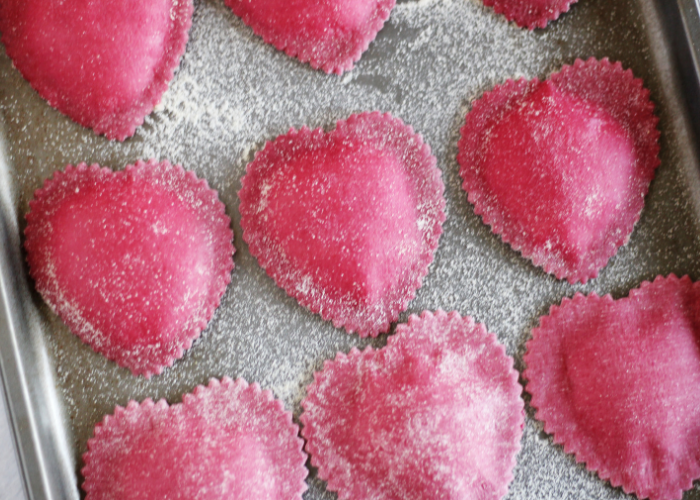 Who would you make these heart-shaped beet ravioli for? 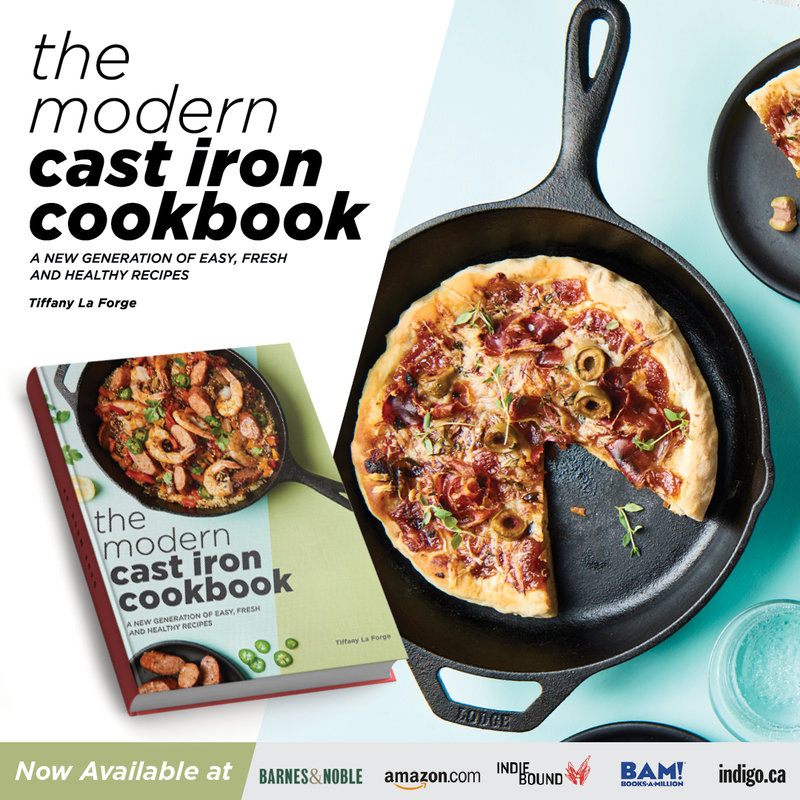 We hope you enjoy making your own pasta from scratch! How romantic. I am starting to love beets more and more I juiced a beet today actually. 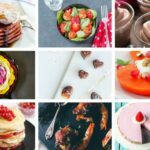 I loved the way you put this recipe together with the Heartbeet puns! 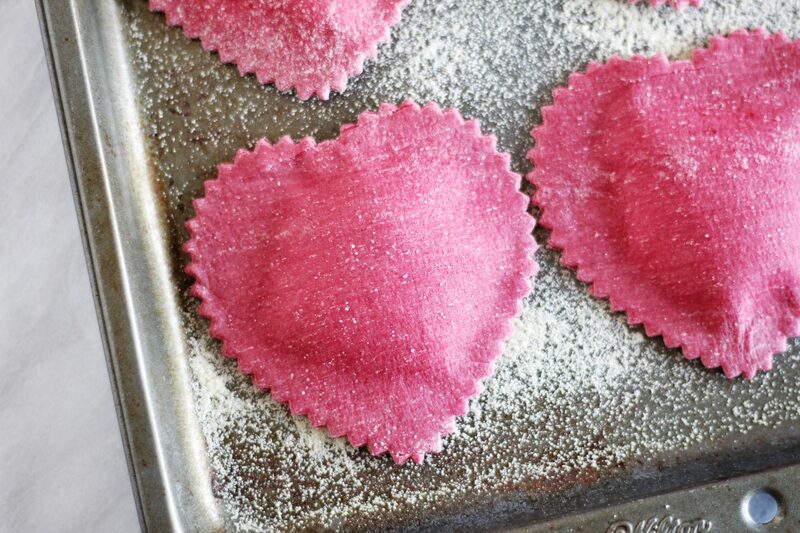 And those lovely looking pink ravioli looks damn good. I am going to try this recipe out. I’m pinning this! How beautiful is that ravioli! Yum, that filling would be good anytime! 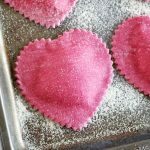 This is probably the cutest ravioli I have ever seen and you made it so simple to make it at home. 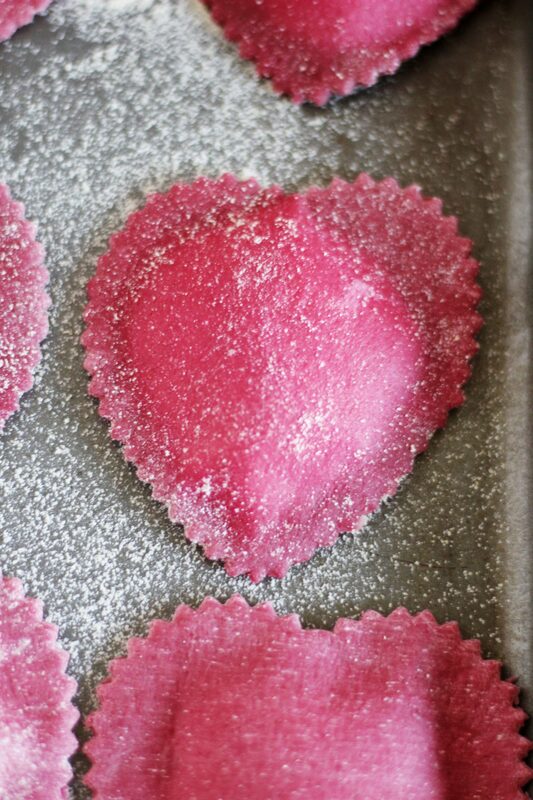 And I cannot believe these pink color are nature color, which makes it a perfect dish for Valentine’s day and a date night. 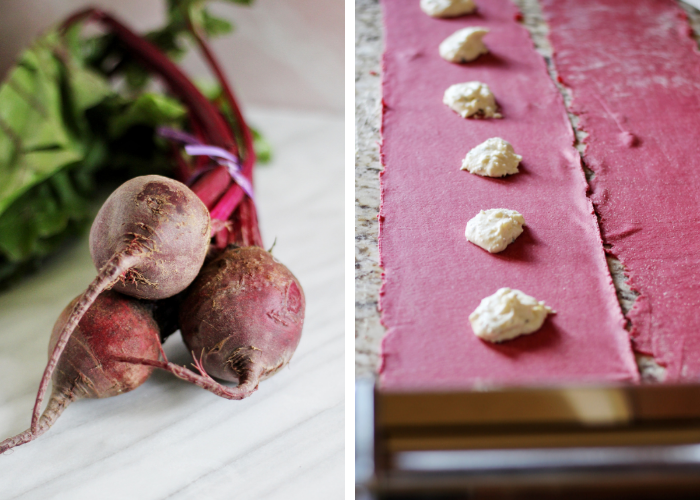 I never thought about making ravioli from beets. This sounds like an interesting dish. These are really adorable! 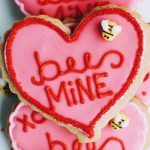 Such a perfect snack for the month of hearts! These have got to be the cutest Valentine’s Dinner idea I’ve ever seen. Such a healthy list of ingredients too! I got a pasta attachment for Christmas and haven’t used it yet. I think this would be the perfect recipe to start with. So cute and fun! I love the color of Ravioli.Reading your posts is getting me interested in trying to make the dishes myself too. 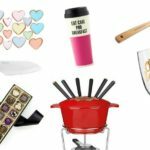 This may be the cutest Valentine’s Day dinner idea in history! I have no doubt that these ravioli taste as good as they look too. That ravioli looks so good! I love the heart shapes and the color from the beets.